For a very long time my travel DOPP kit has all resided in a GORUCK Field Pocket. First in the GR1 Pocket, and then in the Echo Field Pocket. Those both worked really well, but those pockets are overly bulky and heavy for what you really need. 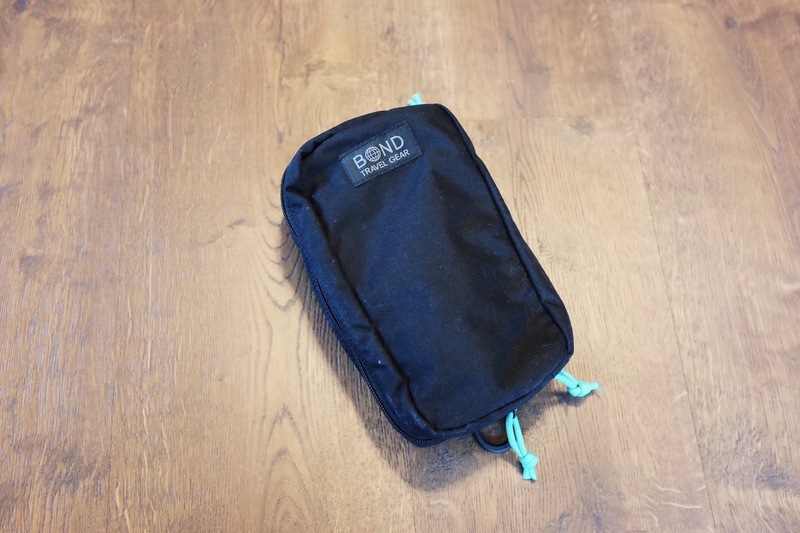 I decided to give a new piece of gear a try, the Bond Venture Pouch. This is an interesting bag, as it is sized closer to the GR1 field pocket, but weighs substantially less than even the Echo Field Pocket. The nylon is a lighter weight, and the construction allows for the entire pouch to be smashed down to nothing — making the kit as big as what you are carrying and not much more. It is also just long enough to fit a full sized toothbrush in. One thing which held me back from initially ordering this pouch was how it organizes stuff. There are two main areas, accessible from either “edge” of the case. On one side the case it zips so that the case can almost be opened completely flat. This then gives you access to two set of elastic organizers for keeping items tidy. Interestingly, this section makes up the middle divider of the other section — so if you fill this area with too thick of items, you really eat into the room on the other side of the case. The other side has a simple top zipper which opens to a two compartment pouch, with one side containing two smaller mesh pockets to keep small bits contained — those secure with Velcro at the top. This is actually not as cramped as it would seem. There’s enough space for me to hold far more toiletries and other items than I typically would ever need on trips. What at first seems like an odd design choice for this pouch, turns out to make for something which is both highly organized and surprisingly bigger than you expect. This is a near perfect size for me, but does allow me to indulge my laziness a bit (since it can hold much larger items). One thing I really appreciate about the organization and design of this pouch is that nothing tends to fall out, even when you fully unzip everything. Not all is ideal with this pouch though. For one the material itself collects a lot of crude quite easily. Mine looks like I cleaned the lint trap on our dryer with it, and it also has some soap staining from hanging out around hotel sinks. Ballistic nylon tends to fair much better, but then you end up with a case that is not as nice looking as this one. Another issue with this case is the elastic bands are oddly sized. The smaller of the options is awesome, but the larger two slots on the other side, are really large and I am not sure what you would put in them which is both that large, and flat enough to fit in this section. Lastly, there’s no integrated clips, only d-rings for attaching to clips. While not something I use very often (or ever) this makes the d-rings useless to me and likely something which I will cut off in the future. At $34, I think this Venture pouch is a steal of a deal. I really like that it is unstructured enough that it doesn’t take up an unnecessary space, as it will compress down when you stuff it in the bag. I don’t have the same confidence in things not leaking out of it as I do with other pouches, but that’s also something I have never had an issue with before. 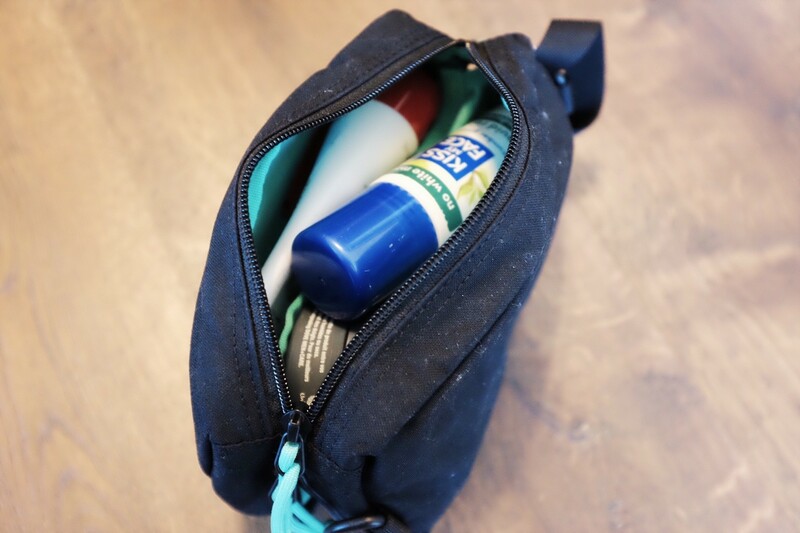 This is my new go to DOPP pouch, and I think it’s really hard to beat given all the other options I have tried. It’s an excellent size, while keeping the weight and bulk down. 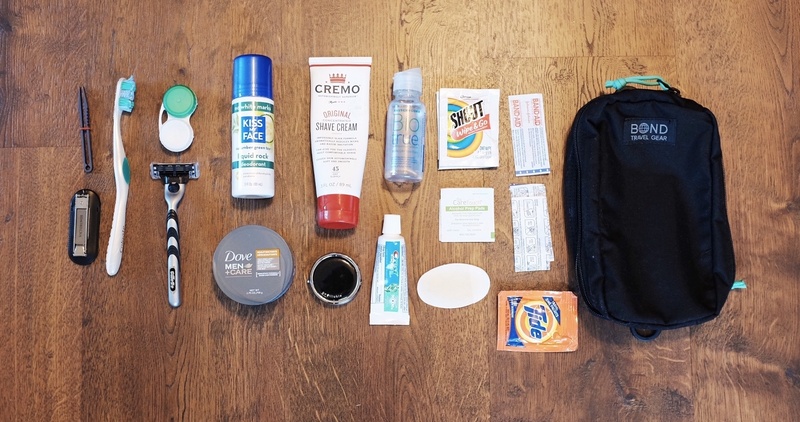 It fits the style of the bags I pack, and while it is prone to looking dirty, that seems like a very minor complaint in the grand scheme of things. I really appreciate that this pouch rewards you for slimming down the gear you carry, but slimming down itself — but doesn’t punish you if you need to pack a ton in it, and it allows you to squeeze it all in too. 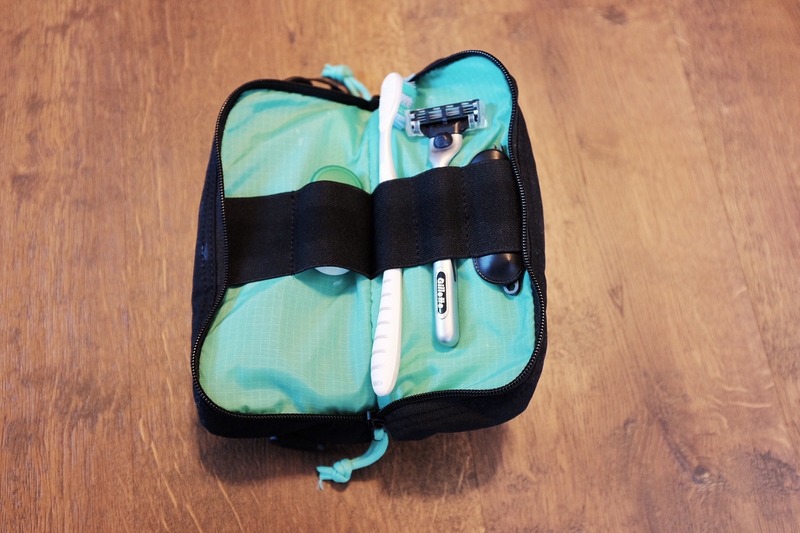 My new go to DOPP kit.